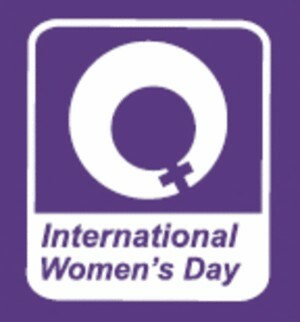 International Women's Day on 8 March was observed around the world including in Bangladesh. Different organizations in the country marked the day with various colourful programmes with a call for women and men to work together to end all forms of discrimination against women. Seminars, discussions and human chain were organised on this important day and the theme of the day was “Equal Rights, Equal Opportunities: Progress For All”. This date was commemorated at the United Nations and was designated in many countries as a national holiday. Women of all continents can look back with some satisfaction that they who were once marginalised from the mainstream of society have come out a long way from that position on the basis of equality and justice. In Bangladesh, the appointments of Ms. Matia Chowdhury as Food Minister, Advocate. Sahara Khatun as Home Minister, Dr. Dipu Moni as Foreign Minister, Ms. Sajeda Chowdhury as the Deputy Leader of the House, Begum Monnujan Sufian as State Minister of Labour and Employment, Shirin Sharmin as State Minister of Women and Children Affairs, and Ms. Segufta Yasmin as one of the Whips of the ruling party are a dramatic way of breaking tradition by Prime Minister Sheikh Hasina. In Bangladesh the Leader of the Opposition is Begum Khaleda Zia, a former Prime Minister. Furthermore, the introduction of women as the Vice-President in the Upazilla Parishad has galvanised women in asserting their rights through ballots. It is one of the mechanisms to empower women and empowerment generates innovation, improvisation and creativity. Women high court judges, civil servants, women judicial magistrates, women police, women lawyers and women politicians are found in Bangladesh, although they are small in number. For example, out of 4,419 civil servants only 673 are women, according to the establishment ministry. There is only one woman DIG of police and four female additional DIGs in police force. It is reported that all female police contingent will be sent to the UN peacekeeping mission. Women's economic participation has shown uneven but steady progress with gender differentials in wages falling in many instances. Significant progress has also been made in terms of increases in female literacy and life expectancy rates, and reduction in mortality rates in the country. A growing number of women are also succeeding in the use of new and innovative technologies, especially information technologies, and empowering themselves through effective participation in national machineries and non-governmental organizations (NGOs). For example Grameen bank, Brac and other micro- financial institutions have empowered many women in the countryside of Bangladesh and they are no more solely dependent on income of husbands or male members of the family. For realization of full rights equal to men, it will take time and the above instances in Bangladesh are a good way to start with for participation of women in public life. The Bangladesh Constitution in its Article 10 provides that steps shall be taken to ensure participation of women in all spheres of public life. Article 19 provides equal opportunity to all men and women citizens and Article 28 forbids discrimination on the basis of gender. But there are many formidable challenges for women. Women are still grossly under-represented in the decision-making process and have restricted access to productive resources and social support systems. Discrimination starts for girls at home. Many parents give extra attention to boys than girls. Girls are made to feel inferior to their brothers in getting privileges. Unless this attitude is changed at homes, real progress for women's equal rights cannot be made. Furthermore, men's attitude towards women needs to be changed and the society must make its efforts directed towards men to accept that nothing is wrong if girls are to be in many instances are treated with equal rights with boys. There are many laws to protect women from violence but implementation is very weak. It is noted that implementation of such laws depends on the level of national economic prosperity, education, social awareness and an enlightened attitude of local people and law enforcing authorities. Emergence of religious orthodoxy or conservatism has been a major obstacle to equality of women in the country. They want women to continue their traditional duties of house-work and raising children. Often it is found that although women earn money such as garment workers in the country, empowerment eludes them because men take all the major decisions in the family in the male-dominated traditional society. Poverty remains the single most debilitating factor in getting basic human rights for women. Women experience the major brunt of the economic crisis and they fall back on the informal sector for economic survival. The women in poverty continue to suffer from economic hardship and social exclusion. Extreme poverty leads a large number of women in the country into social despair unless the authorities devise social safety net for the poor. Women must be empowered in public life. Empowerment of women in the economic and social fields constitutes one of the fundamental objectives of all development efforts in a country. In Bangladesh Grameen Bank and BRAC have demonstrated that women micro-credit receivers are financially more responsible than men-folk in paying their dues and getting more returns from the micro-credit. Women's empowerment has many aspects. Education is an essential element. A good quality education, designed on the basis of women and girls' immediate and strategic needs, builds women's capacities and prepares them to seize opportunities in the public and private domains. Empowerment of women is crucial to change some of the societal attitudes and behaviours that discriminate against girls and women. Educating women and girls is therefore directly linked to their empowerment and to the full enjoyment of their rights in society. With the changing demographic structure of the region and increase in the proportion of older persons, especially older women, the need for appropriate policies and systems to provide economic and social support will be an important issue. Promoting the greater participation of women in decision-making will continue to be a formidable challenge. The task of social and economic empowerment of women therefore remains a priority area of concern for the countries of the region. Trafficking in women and children, with all its attendant social ills, and violence against women, has remained a major cause for concern in the SAARC region. The problems of economic and social support for ageing populations, especially older women, loom as an emerging challenge. An increasing number of women are being trafficked for abuse and exploitation and forced labour, with growing incidents of violence against women. Many migrant women face the bleak prospects of unemployment when they return home. SAARC (South Asian Association for Regional Cooperation) has been engaged with the issue of gender-equality and to bring women in the mainstream development. During 1990s a regional plan was adopted identifying areas of concern and goals for women. Several short-term activities like workshops, training courses were held in the areas of women and environment, women and education, women and employment and women in agriculture. Equality of women in society has a long way to go. So long old mind-set is not changed in a male-dominated society, equal opportunities for women will fall short. The AL-led government led by Sheikh Hasina came with the AL manifesto “Charter of Change” and on the International Women's Day, the Prime Minister has committed to update and make the National Women Development Policy effective and to eradicate gender discrimination from Bangladesh by 2021. The Prime Minister also thought that women should have equal right to property. It is hoped that women's equality with men in all public spheres will not only get a boost from the Women Development Policy but it will encourage the private sectors to do the same. Finally, the two concepts-women's rights and peace- have been interlinked because promotion of women's rights promotes peace. In other words, peace prevails in society when women's rights are established and protected as those with men.